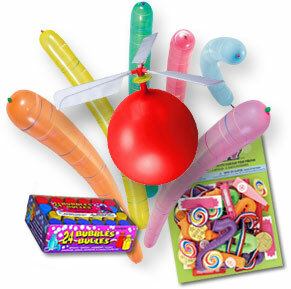 Leave the hassle of organising party bags to us. We make it incredibly easy for you. Simply call us to place your order over the phone. 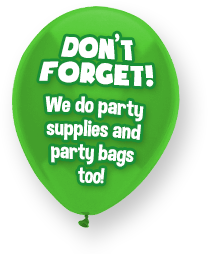 All our items are great quality and because we buy everything in bulk, it makes sourcing party bags through us, cheaper than doing them yourself. Just tell us how many party bags you want. We’ll bag them up, then send them to you in the post. You can choose what toys you want from the list below (subject to availability), or leave it to us to fill them for you. 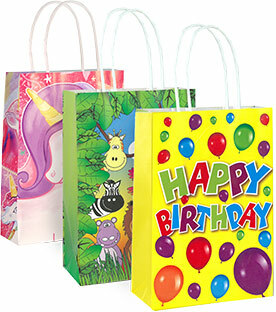 Please note we need a minimum of 4 full days notice to get party bags to you in time. (Min order of 20 bags) Plus Postage: £4.50. Party bags are sent directly to you in the post. I am so, so impressed with the party bags. Really great value and very well presented. Very professional. The free Froggle poster that came with it was a lovely touch too!